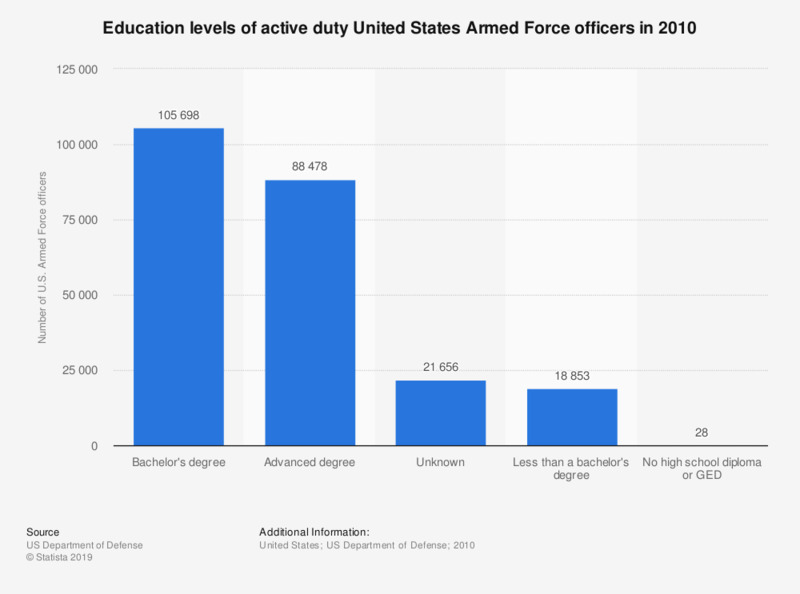 This statistic shows the education levels of active duty United States Armed Force officers in 2010. In 2010, there were 88,478 U.S. Armed Force officers with an advanced degree or higher. There were just 28 officers with no high school diploma or GED.